VideoLan has launched VLC 360, a new version of the media player that supports 360-degree videos and images. The current release is a technical preview; all of its features are slated for inclusion with the final VLC 3.0 release across all platforms. VLC 360 Technical Preview is currently only available for macOS 10.10 or later and Windows 7 or later. 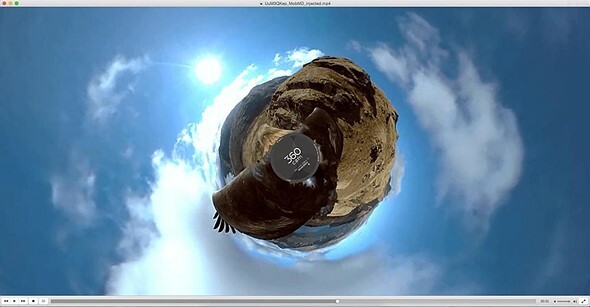 VideoLan teamed up with Giroptic to introduce these new features, which include the ability to play 360-degree video and photos, display 360 content with ‘Zoom,’ ‘Little Planet,’ and ‘Reverse Little Planet’ modes, and control content using both a mouse and keyboard. Future mobile versions of VLC with 360 will also support control using a phone’s built-in sensors. VLC’s makers plan to release future versions of its software with 360-degree features for Xbox One, iOS, and Android. As well, VideoLan says the media player ‘will probably support’ virtual reality headsets like the Oculus Rift and Google Daydream View starting next year. VideoLan is also working on 3D audio playback support.